I know that "Europe" has its own tropical rain forest in French Guyana. But if you focus on continental Europe, where lies the closest tropical rain forest in terms of traveling hours? This map shows the tropical rain forest in the whole world. As you can recognize, the rain forest in Africa are geographically located closest to Europe. Other references also state that the rain forest in Gambia are the closest rain forest to Europe, for example here. A quick matrix flight search turns out that you can get there from central Europe (I tried Frankfurt, Germany and all airport in a radius of 300 miles) for less than 500 Euros, and it is an only 1-stop flight. Other flights to typical rain forest destinations as for example Manaus in Brazil seem to be a little bit more expensive. For questions like this, I prefer the scientific and mathematical approach. A tropical rainforest, by definition, has to lie within the tropics, that is, roughly within the latitudes 23.5 degrees north or south of the equator (between the Tropic of Cancer and the Tropic of Capricorn). Mainland Europe stretches about 2,400 miles (3,900 km) from Cabo da Roca, Portugal (09° 30′ 03″ W) to an unnamed 545 metre peak in the Urals (most common definition of eastern Europe) at 68° 18′ 37″ N 66° 37′ 05″ E. So we ideally want something within these longitudes, directly south. While some are shown above and below the tropics, I'll stick to the official definition. This means we're looking at the countries with rainforests above the (lower) Tropic - Capricorn in Africa; an area known as "Tropical Africa". There are 8 countries on the Tropic of Cancer, and 4 on the Tropic of Capricorn, with several in between. Fortunately, since we want the ones closest to Europe, we can focus on the ones lying on the Tropic of Cancer: Western Sahara (claimed by Morocco), Mauritania, Mali, Algeria, Niger, Libya, Chad, Egypt. Of course things are never that simple. None of those countries have rain forests, and in fact many of them are arid desert. So we have to head further south. As you can see from the above map, there are a few running along the west of Africa, especially around the west-most point - in a band called the Guinea-Congolian transition area, extending from Senegal to western Uganda. This narrows it to a few countries rather rapidly, as Wiki's Tropical Africa page discusses - we can quickly isolate Senegal, Guinea-Bissau, The Gambia, Benin and Nigeria; our five finalists. Further investigation shows that in Nigeria, the rain forests are in the south of the country, and Benin and Guinea-Bissau are far enough south of Senegal for them to be discarded, as well as The Gambia being 'contained' in Senegal south of its forests, although it's a close call. Measuring a line as the crow flies from the forest area in northern Senegal to Gibraltar, the closest point on mainland Europe seems to indicate a distance of about 2400ish kilometres. Bottom line - research, Wikipedia, Google Map rulers and geography would seem to indicate that your best bet is in Senegal for the closest rainforest to mainland Europe, with The Gambia being arguably closer depending on where you fly into and travel to. With Air Iberia, it's possible to fly to Dakar, Senegal in 4 hours and 40 minutes - although there are possibly cheaper flights, and indeed if you factor in land travel time, depending on where you go, The Gambia could be an alternative. From there it'd depend on which ones you wanted to go to - I'd suggest starting here. You are interested in the hours of travel. In this case the final answer to the question heavily depends on where in Europe you live. As I can see from your profile, you live in Antwerpen. In this case, Gambia could indeed be the answer, as mentioned by Roflcoptr. You might also consider Guinea. 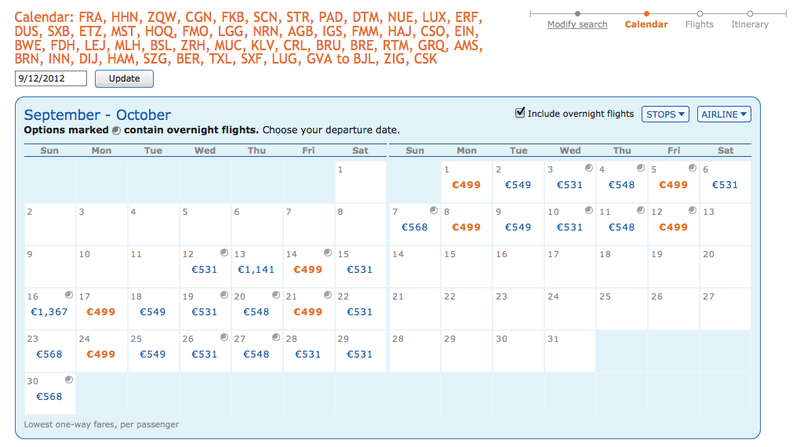 Indeed, from Brussels you have a round flight doing Brussels - Conakry - Banjul - Brussels. 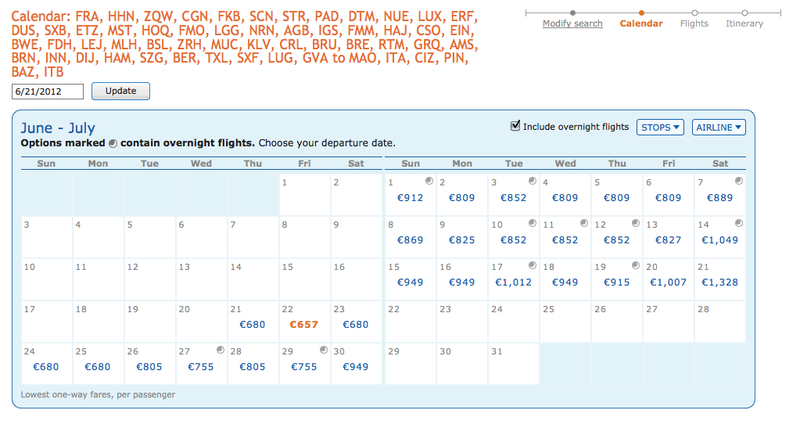 There is also a direct flight from Brussels to Dakar. The flight per se is shorter than the previous one. However, the rain forest is not in Dakar, but rather in the southern part of the country. If you take this into account, Senegal is losing ground. Generally speaking, Western Africa is interesting in your situation. Brussels Airlines has a good network in that region. If you want to stay within the European Union, you can also consider Martinique. It is only 8 hours from Paris. Some people put Azerbaijan in Europe. In that case, with 3250km, this would qualify India as the closest tropical rainforest from mainland Europe. Unfortunately, the shortest flight I found is 7h45 from Baku to Mumbai with a stop at Doha. Snowfall at sea level closest to the equator? To which country in Europe should I travel to if I want to see a lot of lighthouses? Does Eurolines provide a map (list or other resource) with origin / destination cities (or locations)? Where is the closest to western Europe to see desert mountains with slot canyons? Where can I see the Milky Way in Europe?